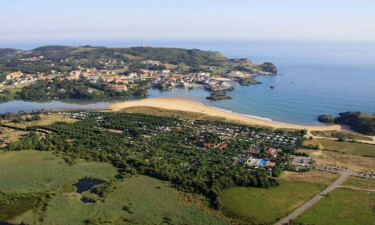 The camping holiday site of Playa Joyel is found only moments from the alluring Cantabrian Sea and its beaches alone are worth the visit. Please feel free to speak with LUX-camp to appreciate how this dream camping holiday can become a reality. 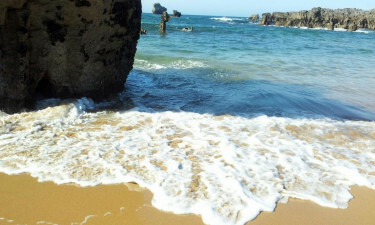 Why Should I Select the Luxury Camping Site at Playa Joyel? No less than 1,020 individual tourist pitches. All pitches are equipped with mobile homes. Impressive toilet and washing facilities. Additional attractions located only a short distance away. 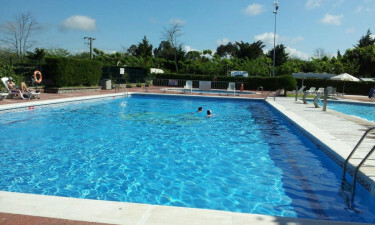 Any camping holiday here is made even more unforgettable thanks to the variety of amenities that are offered. Some examples of what guests can expect to enjoy include baby changing rooms, 70 individual washing cubicles, wheelchair-accessible bathrooms and an on-site laundry room. Visitors can enjoy wireless Internet access during their stay as well as a gas bottle exchange and a television hookup service. Nothing has been left to spare in terms of this top-of-the-line luxury camping site. While there is no doubt that the on-site features of Playa Joyel leave little to be desired, it should still be mentioned that the location alone offers a host of other activities to enjoy. For example, thermal baths are located only 30 kilometres away from camp and a bicycle hire service can be found within less than a kilometre from one's mobile home. Boat rental portals are additional located within a short distance; ideal for anyone who wishes to explore the nearby coastline. It is no secret that children love a sandy beach. Thankfully, luxury camping can be enjoyed by all thanks to a proximity to some truly unforgettable shores. 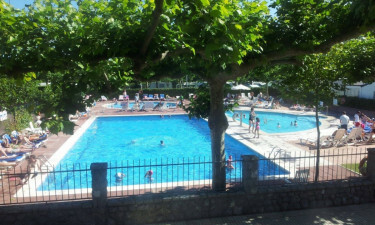 Still, a large on-site pool is great for those who hope to remain close to their pitch. Dedicated entertainment for children is another advantage of choosing Playa Joyel for one's next camping holiday. A restaurant and a pizzeria are found within this holiday camping site while there is also a grilled chicken takeaway for those who want to spend a quiet evening with their family. A tranquil bar is only moments from the beach as is a kiosk that sells ice cream; ideal during the warmer times of the year. Please note that some of these may only be open during the months of July and August. It is wise to speak with a LUX-camp representative to learn more. Playa Joyel can be considered a one-stop-shop in terms of produce and essential items. 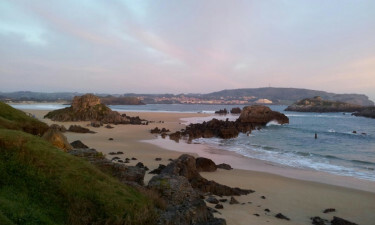 Amongst other amenities, visitors here can have access to a supermarket and a small retail store which sells souvenirs from the Cantabria region. Some other services that can be enjoyed include a car wash and an ice dispenser. International newspapers can also be bought by anyone who wishes to keep abreast of the latest global happenings while visiting. Please contact LUX-camp for further information or to plan an upcoming camping holiday.